Robert Shaw would have been 91 years-old last Thursday, August 9th. Sadly, he never lived beyond the age 51, dying shortly after completing principal photography on Avalanche Express, his sole costarring credit with Lee Marvin. 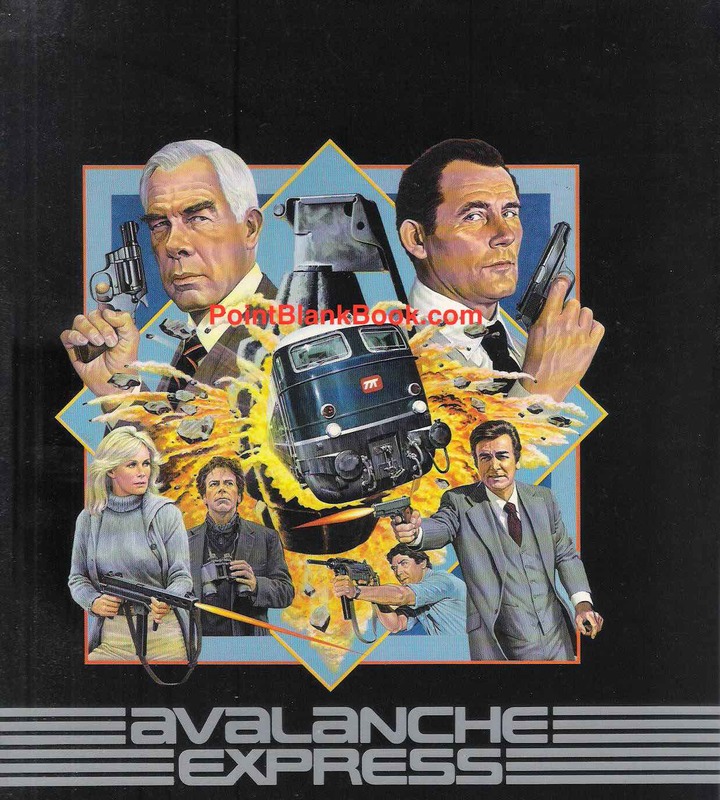 Old style advertising artwork for AVALANCHE EXPRESS, which was infinitely better than the film. The old-fashioned Cold War spy thriller left Robert Ludlum and John LeCarre nothing to worry about. Shaw played a Russian master spy defecting to the west with KGB chief Maximillan Schell hot on his trail. Shaw’s defection is arranged through the auspices of American spy master Lee Marvin who plans to use Shaw as bait to ferret out some old KGB adversaries. Mike Connors, Linda Evans, Horst Bucholtz and even Joe Namath join in on the title train’s cliche’d yarn. AVALANCHE EXPRESS production stills from the film’s pressbook. Readers of Lee Marvin Point Blank are well aware of the film’s bedeviled production. For example, veteran director Mark Robson died suddenly, June 20, 1978 as principal photography was near completion, followed two months later by Shaw’s untimely passing from a massive heart attack near his home in Ireland. Producers were left in a quandary about what to do about it as some footage was actually still needed, or in some cases, reshot. Enter maverick filmmaker Monte Hellman, who took over the production in ways only Lee Marvin Point Blank readers know about thanks to an exclusive interview he gave me. 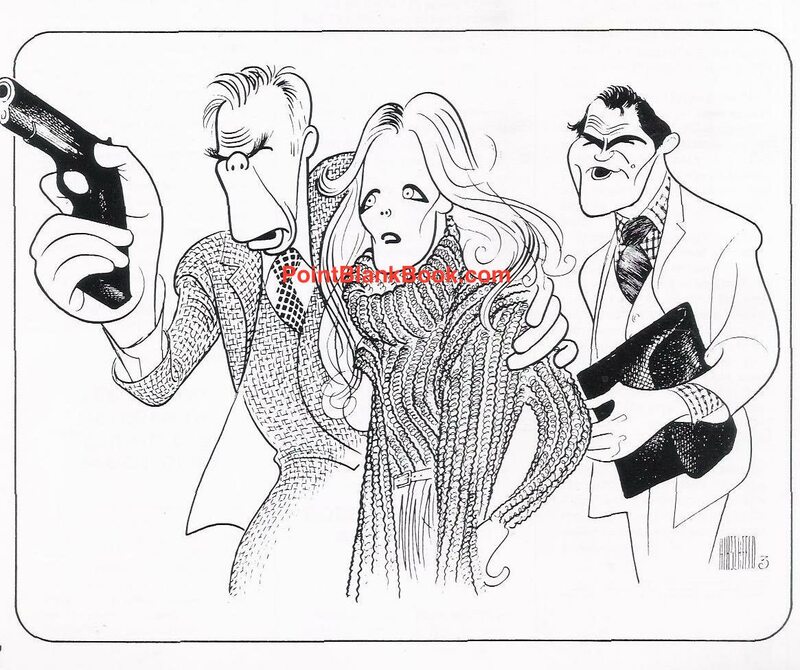 The great Al Hirschfeld’s drawing of the AVALANCHE EXPRESS costars. Can you spot all 3 Ninas? It proved to be the great Robert Shaw’s last screen appearance as the actor was coming more and more into his own following the success of Jaws (In the role Marvin turned down) and The Sting. It isn’t widely known but he had actually wanted to be remembered more for his writing than his acting. His play, The Man in the Glass Booth earned him a Tony Award and an Oscar nomination for the performance of his Avalanche Express costar, Maximilian Schell. The loss of Shaw’s talent can never be fully measured. 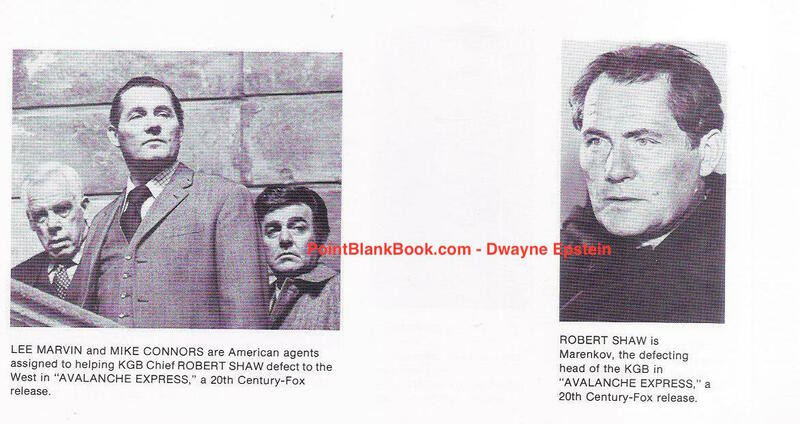 This entry was posted in Uncategorized and tagged Al Hirschfeld, Avalanche Express, Lee Marvin, Lee Marvin Point Blank, Mark Robson, Maximilian Schell, Monte Hellman, Robert Shaw by Dwayne Epstein. Bookmark the permalink.